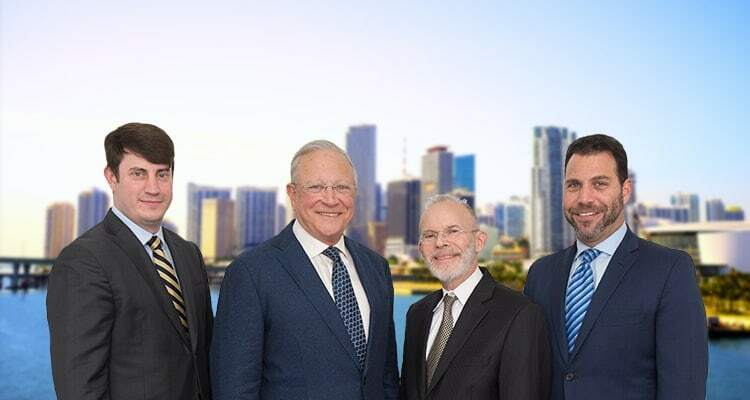 Contact Key West Bike Accident Lawyers Gerson & Schwartz, P.A. One of the benefits of the Florida Keys is the beautiful weather throughout the year. Residents and visitors benefit from months of sunshine at a time. This may encourage you or a family member to head out on two wheels. You may ride your motorcycle on a regular basis, such as commuting to work, or use it on weekends and holidays for long, winding drives. Whatever your motorcycle habits, you expect to be safe when you hit the road. Unfortunately, motorcycles are vulnerable on the roads, particularly in high traffic areas like Key West. U.S. Highway 1, better known as the Overseas Highway, is consistently busy, especially during Key West’s peak vacation season. Motorcycles have to manage riding among cars and trucks, which may have drivers who are not paying close attention to traffic or looking out for them. If you were injured or a loved one was killed in a motorcycle crash in the Lower Keys, contact our Key West motorcycle accident lawyers at Gerson & Schwartz P.A. at (877) 475-2905. We offer free consultations so that you can learn about your rights and options. Key West is located in an archipelago off the southern coast of Florida. It is the island furthest from the mainland and is known as the southernmost city of the U.S. The Florida Keys are divided between the Upper Keys, Middle Keys, and Lower Keys. Key West is among the Lower Keys. It also is the most populated island in the Keys with a population of more than 26,000 within 5.6 square miles. 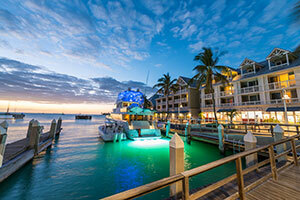 Key West not only has a substantial population, it also sees millions of visitors each year. Because of Key West’s nightlife, history, and culture, people come from all over the world. Unfortunately, this means that the island’s traffic is often congested. With hundreds or thousands of additional drivers at a time, the Overseas Highway, including the Seven Mild Bridge, is full of cars. Additionally, cars must share the road with commercial trucks, motorcycles, bicycle riders, and pedestrians. All of this heavy traffic increases the risk of a motorcyclist being involved in a traffic accident. If you were involved in a motorcycle accident, do not hesitate to contact a motorcycle accident lawyer for Key West to discuss your rights and legal options. If you do not see your situation on this, do not worry. We handle all types of motor vehicle accidents, including all types of collisions involving motorcycles. Whatever your situation, if you believe the other party was responsible, call our Key West motorcycle accident attorneys right away. We understand how traumatic it can be to get into a crash on your motorcycle. Not only are you hurt and facing weeks or months of recovery, or worse, a permanent limitation, you have to deal with mounting medical bills. The potential financial ramifications of a motorcycle accident are why you should contact an attorney right away. By hiring a motorcycle accident lawyer, you have someone to help you obtain the best possible medical care and put your medical bills on hold while you pursue a personal injury claim. Additionally, your motorcycle accident attorney for Key West will fight for you to receive full and fair compensation from the at-fault party, which should cover your medical expenses and more. After being hurt in a motorcycle crash that was another driver’s fault, our personal injury lawyers at Gerson & Schwartz P.A. will help you pursue compensation for your physical, emotional, and financial injuries. When you are injured in a traffic accident that is not your fault, you deserve to receive compensation. The at-fault driver’s insurance policy should cover your economic and non-economic damages. However, achieving this result takes work. You will need to file an insurance claim, prove the other driver’s fault, and prove the type and extent of injuries. Instead of having to focus on this process yourself, you should work with an experienced personal injury lawyer. While Gerson & Schwartz P.A. handles the insurance claim process, you can focus on your recovery. To learn more about how we can help after a motorcycle accident, contact us at (305) 371-6000.